Grammy-winning rapper Eminem has social media’s full attention. The hip-hop veteran has rubbed elbows with Atlanta trap star 2 Chainz. Deuce went to Instagram last night (June 23) with shots of himself and Slim Shady. 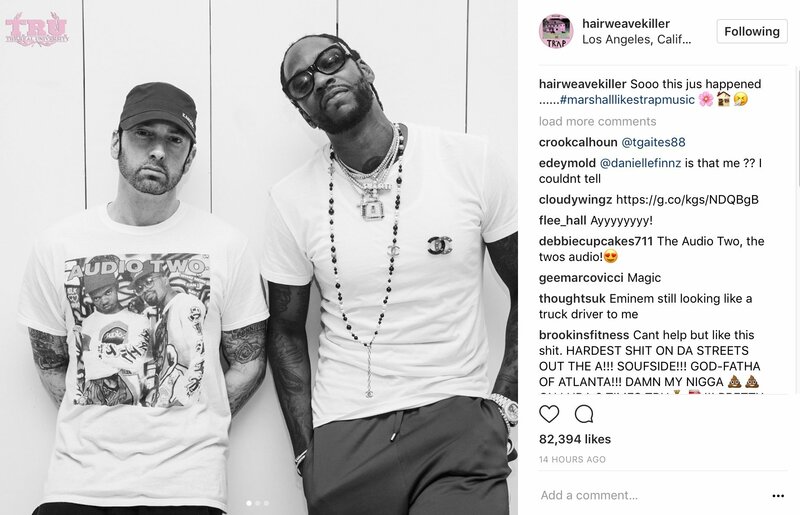 This week, Em showed off a fresh beard at a The Defiant Ones premiere alongside Dr. Dre and Jimmy Iovine. Earlier this month, Eminem popped up at a Michigan high school graduation and blessed students with Beats By Dre headphones. In early June, Em revealed some must-have The Eminem Show 15th anniversary bundles.